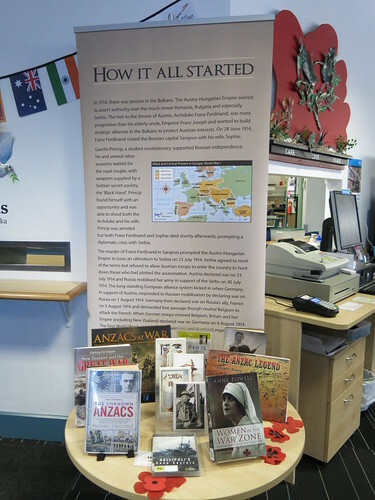 In 2015 a teacher resource pack about World War I was sent to the schools in the Tauranga area. The pack has a Tauranga focus and was put together by the WW100 Tauranga, Tauranga City Libraries, Tauranga Heritage Collection and Tauranga City Council. New Zealand WW100 [electronic resource]. Truth sample pack / Truth.